When pitching your business to potential investors, it's important to make it memorable and engaging, and good body language will help. When pitching your business, your information matters—but have you paid attention to your body language? During my sophomore year of college, I took a speech class called Intro to Public Speaking. Our final project was a 10 minute speech on a topic of our choosing. We were allowed note cards, visuals—anything that would help us give an engaging presentation. Sounds easy enough, right? I thought so, until I saw some of the presentations. I remember both the good and the bad speeches, which were memorable for very different reasons. The best speaker—let’s call him Eric—was vivacious and captured the audience. He smiled, but not too much; his gestures were well placed, and showed his passion for the subject. He took up space, but was never overwhelming. His voice was confident, yet accessible. Years later, I can recall the topic of his speech—the importance of good public transportation—because not only did he present interesting information, he was also engaging, self-assured, and totally in his element. The worst speakers? They ran the gamut: poor eye contact, shuffling feet, trying to appear as small as possible, and so on. Even if they were passionate about their subject, I can’t remember what any of them were—and that’s not a good sign. When pitching your business to potential investors, it is incredibly important to make it memorable and engaging. Pitching your business is very similar to giving a speech, whether you are on stage giving a formal presentation, or at a networking event. 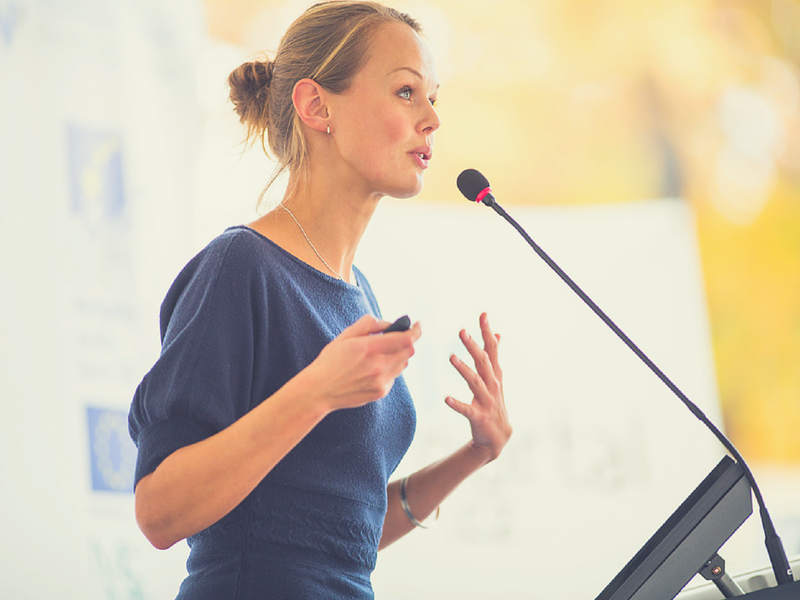 So, you can take advantage of several of the same tactics used in effective public speaking—namely, mastering good body language. How important is our body language? According to research, incredibly important. Though the actual percentage varies, nonverbal communication through our body language is thought to make up around 50-70% of communication. So, while the content of your pitch matters, your body language may ultimately have a huge impact on how your message is received by your audience. As a result, sending the right body language signals can make or break your pitch. So, let’s break it down, highlighting several of the most important aspects of body language you’ll encounter when pitching your business, and we’ll look at what you should do, and what you should avoid doing. The handshake—I could write an entire article dedicated to this subject alone. It’s become a nuanced issue—it should show authority, but not too much, and it should be firm, but not too firm (I was once told by a boss to lighten mine up a little, as I’d apparently overshot the idea of a “firm handshake,” but that’s another story). 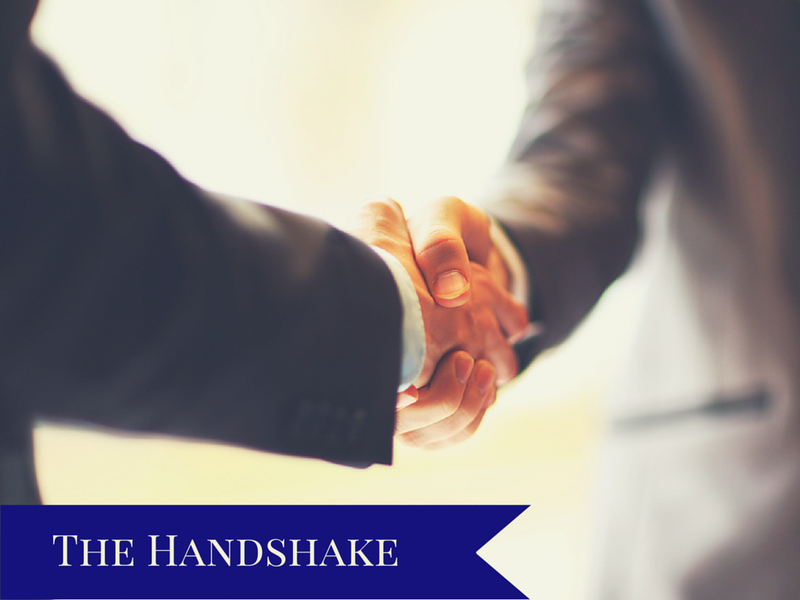 Be firm: A good handshake is firm, but, according to Etiquette International, “not bone-crushing.” So, when greeting a potential investor, grasp their hand firmly—but not too hard. And please—no limp fish hands. 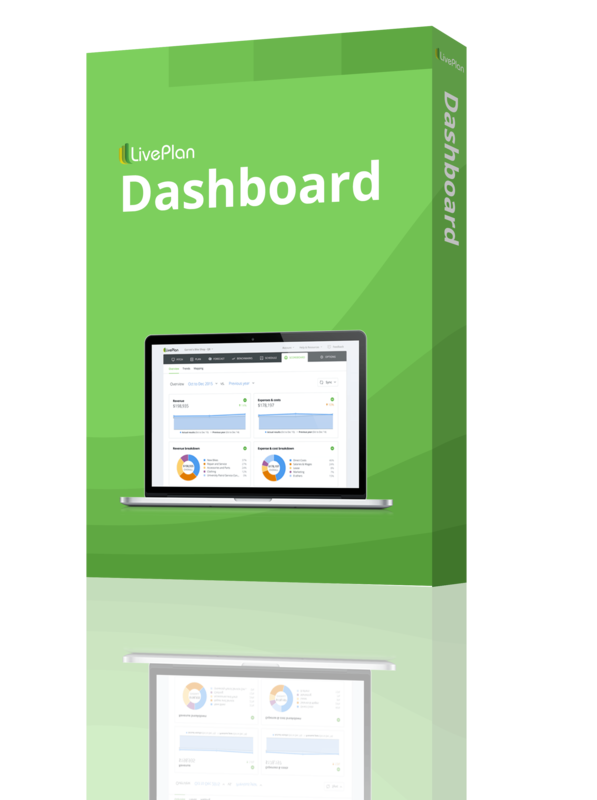 There is nothing worse, and this will surely leave a bad impression with potential investors. Check out this great TED talk on body language—the first half is exclusively focused on the handshake. Be authoritative: A hand offered palm-up is sometimes considered a sign of passivity and weakness; however, a downward facing palm can come off as overly superior. Strike a balance by offering your hand sideways, giving the impression of equal footing. Include eye contact and smile: When shaking hands, make sure to meet the other person’s eyes. Finally, smile! Make this connection memorable—you may not get a chance to make another good impression. See Also: Do You Know How to Pitch Your Startup in Social Situations? What your audience reads on your face can be just as important as the words they hear. Do your words and your expressions match? Is your face sending the right message? Well-used facial expressions can convey warmth, tell a story, and help your pitch resonate with your audience. Cultivate an “expressive face”: We all know someone who has mastered the “expressive face,” and can tell an entire story with a single look. 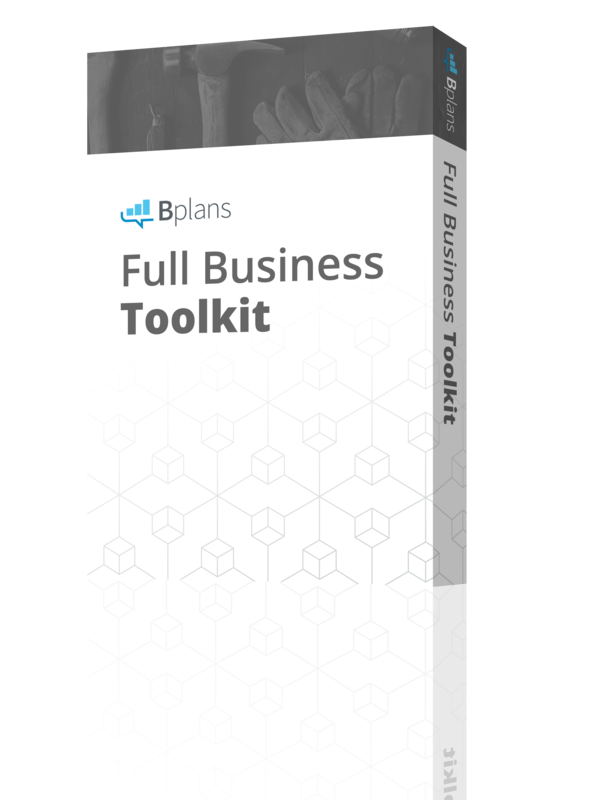 Its importance should not be devalued; after all, you can have the best business plan, or the most complete industry analysis, but your potential investors are more likely to remember your story. Avoid the “perma-smile”: While it is important to demonstrate your passion for your subject, be conscious of keeping your enthusiasm under control. Excessive smiling can make you appear foolish or less professional, so sometimes maintaining a collected demeanor will serve you better. That’s not to say you can’t smile—you should definitely smile!—but the plastered on beauty pageant look will not win over investors, and may ultimately make you look less credible. Keep your facial expressions suited to the topic: In the same vein as the point above, your expressions should be tailored to the topic at hand. Did your potential investor just ask you a tricky question about a possible financial problem? Keeping a smile on your face while answering a serious question may make you look insincere. 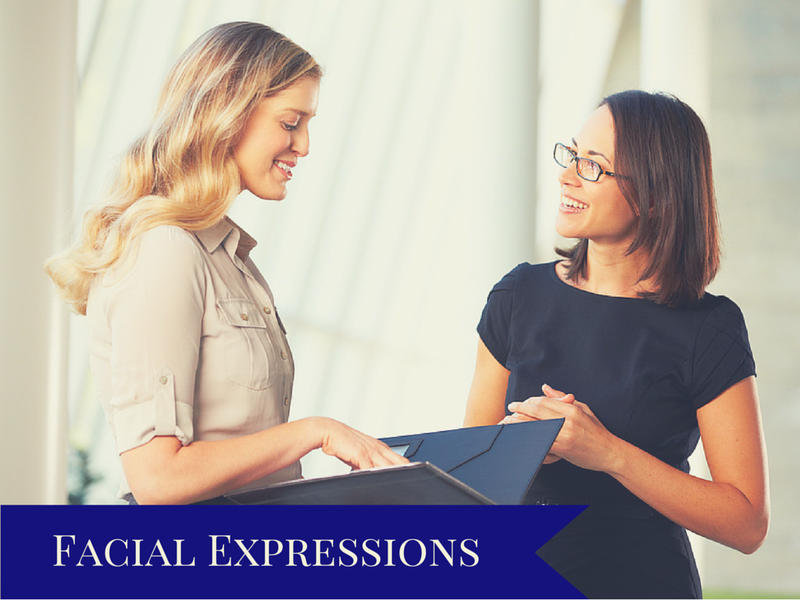 Match your facial expressions to your words, and you will appear more genuine. Beware of the “bobble head” effect: When listening to a sad story, for example, or empathizing with a friend, a head tilted to the side and nodding along can indicate sympathy and understanding. However, it does not connote strength and authority, two things you should hope to embody while pitching your business. Keep your head upright and keep nodding to a minimum. For me personally, the hardest part of giving a speech is figuring out what to do with my body. Sometimes, if I am not prepared well enough, I may freeze, and panicky thoughts like, “where do my arms go?” pop into mind. 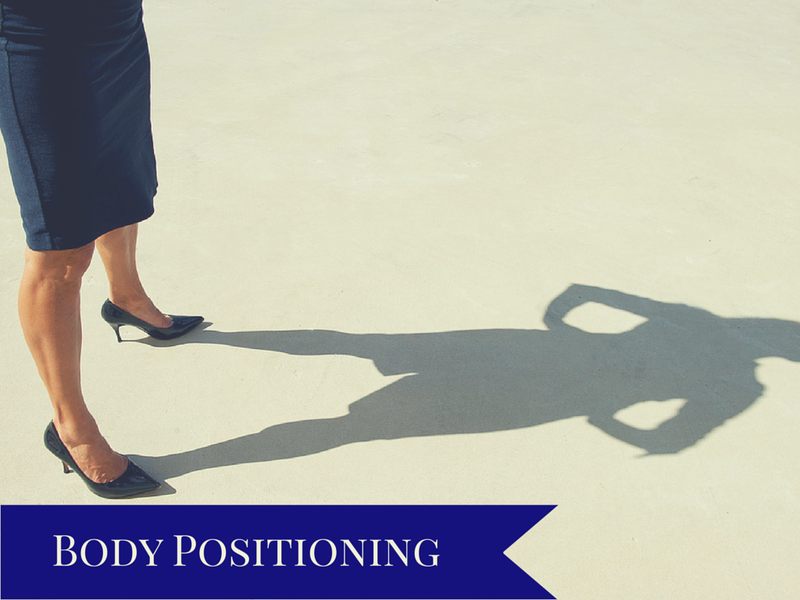 Luckily, the subject of body positioning in public speaking has been extensively studied. You can use these tips to your advantage when giving your pitch; not only will you seem more self-assured, but your pitch is likely to go over better with your audience—whether it is one investor that you met at a networking event, or a whole panel of them at a pitch competition. Use power poses: Have you heard of “power posing”? The popular TED talk by Amy Cuddy is a great primer on this topic, and an interesting watch. The “Wonder Woman pose” is a classic power pose. Image via Flickr. The idea of power poses can be used in two ways. First of all and most obviously, while pitching your business, focus on occupying space. Do not “physically condense”—for instance, avoid crossing your arms, legs, or in any way making yourself look smaller. Not only does this make you less confident, it lessens your appearance of power. To combat this, while pitching your business, make sure that you stand tall and confident. However, power poses are not only good for the pitch itself; they can also be used before you pitch your startup as a way to make you feel more powerful and in control, before you even take the stage. 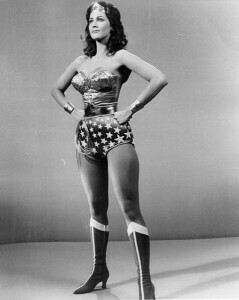 To do this, adopt the “Wonder Woman pose” in private for two minutes prior to giving your pitch. You will feel more confident, powerful, and in control. Don’t fiddle: Touching your face, playing with your hair, and tugging at your clothing will lessen your appearance of confidence. Avoid these small gestures, as they can make you look nervous and less self-assured. Use defined gestures: Similar to the point above, keep your gestures purposeful, and avoid excessive hand waving and unnecessary movement. Gestures can be very powerful when used correctly, so make an effort to be deliberate. Try palm up: Research has shown that speakers who use “palm up” gestures are more likely to be received as engaging and warm, and that the content of their message is more likely to be remembered than those who use “palm down” gestures or pointing. 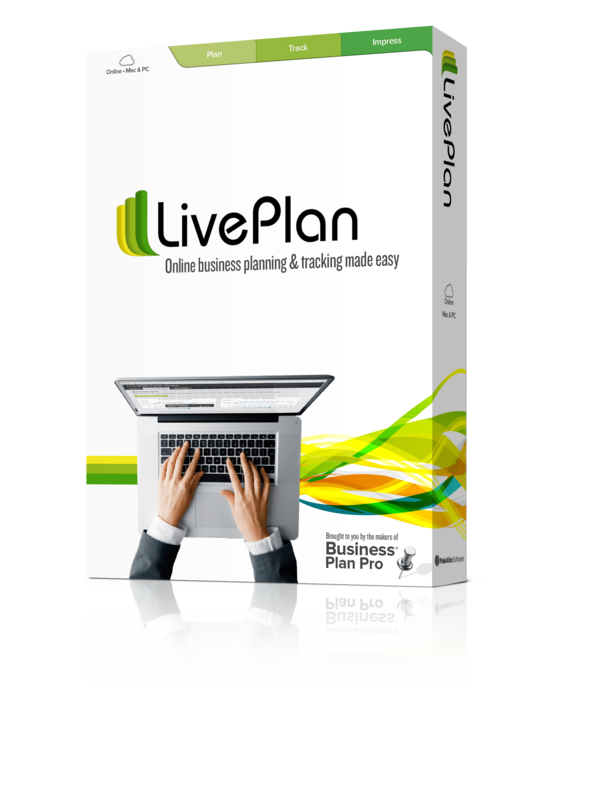 To take advantage of this trick, practice giving your gestures with an open palm, facing up. We’ve all seen speakers who let their “props” overwhelm them; they might clutch the podium, or become buried in their notes. Similarly, some speakers seem terrified of taking up space, and will give a speech from one position only, without moving. While props can be helpful, it is important to make sure they don’t override your message. 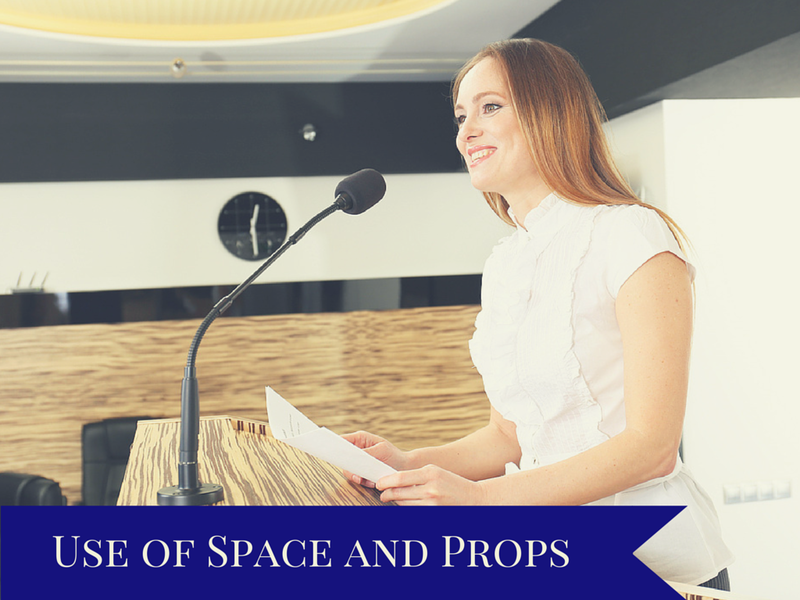 To make your speech memorable and to give yourself the appearance of confidence and ease, pay attention to your space and your props. Occupy space: Just as your body positioning should be confident and “big,” so should your use of space. Don’t be afraid to move around, especially if you are presenting on a stage or in front of a group! Command the space around you, and you will be nonverbally communicating to your audience that you are comfortable with yourself and your ideas. Don’t get lost in your props: Your notes, a podium, any technology you use—they should be aids, not floatation devices. Move away from the podium, look up from your notes, and do not let the use of clickers or other technology take away from your pitch. Try to familiarize yourself with any tools you will be using as much as possible before your pitch; the more comfortable you feel with your props, the more they will work for you, and not against you. Have you got all that? This may seem like a lot to remember, which is why practice is essential. Spending time perfecting your pitch material is great, but don’t forget to practice not only to what you are saying, but your body language as well. So, pull out a camera and film yourself, practice in the mirror, or grab a friend that you know will give you honest feedback. With well-prepared material and good use of body language, your pitch is much more likely to be successful. Which of these body language pitfalls have you experienced? Do you think one is most important for entrepreneurs to master, or would you like to add to this list? Let me know in the comments below! Did you know this article is part of our Elevator Pitch Guide? 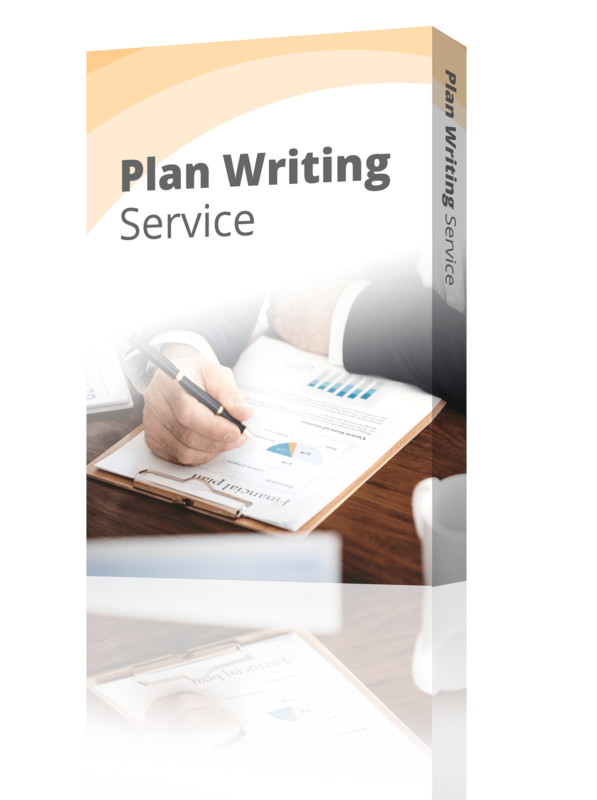 Everything you need to know about creating your pitch, from Bplans.